Gorgeous views of the mountains! 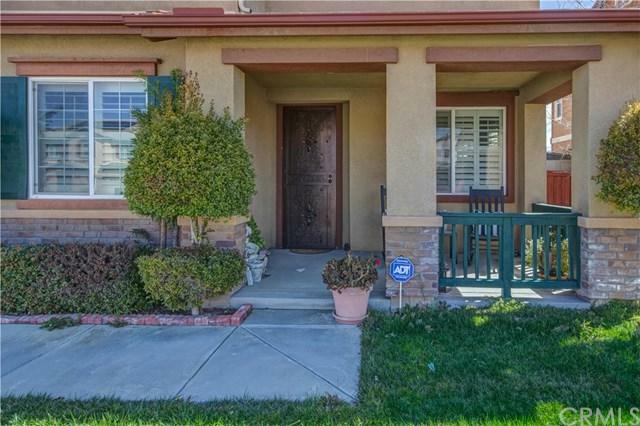 Located in a cul de sac with fantastic neighbors. 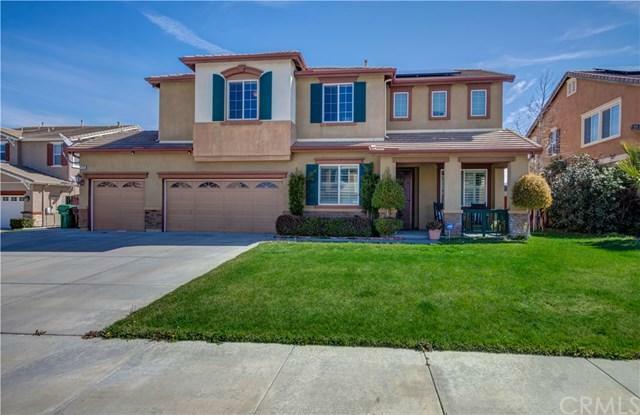 Large 5 bed/4 bath. One bedroom downstairs with it's own ensuite. 3 Car Garage, RV/boat parking. Large backyard with allumawood patio cover. Dual a/c units. Leased solar, nest thermostat, wired for sound and alarm system. 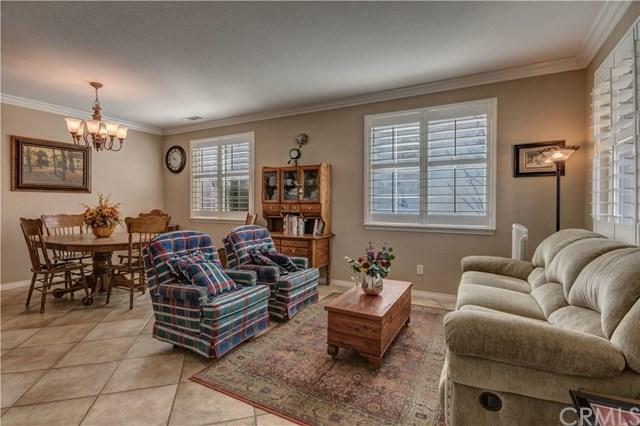 The family room has a fireplace and crown moulding. The stairway is beautifully oversized. The master bedroom has his and hers walk in closets, separate tub and shower. 3 more bedrooms upstairs and a loft perfect for the kids to have their own tv/game room. In addition to the loft there is a separate room currently used as a craft/sewing room, but could be used for an office. 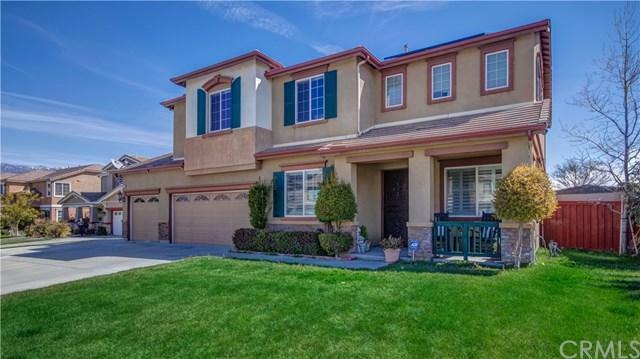 This home has it all and is close to shopping and the I-10 fwy. New shops currently being built and a theatre! 30 mins to Palm Springs or Riverside. Listing provided courtesy of Merrit Chassie of Luxre Realty, Inc.